Description: MLT is needed for 13 week travel assignment. Working under the supervision of a medical technologist, medical laboratory technicians perform routine tests in various areas of clinical laboratory testing, including: Blood banking, Chemistry, Hematology, Immunology. Microbiology Medical laboratory technicians may also be responsible for preparing specimens and operating automated analyzers, or performing manual tests. One year of recent experience required. 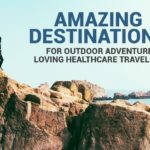 MLT travelers earn top pay! 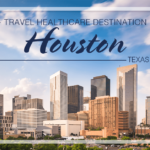 *Travel healthcare jobs are available throughout the US including unadvertised jobs that will never get published online. Get access to those jobs and let travel staffing companies compete for you! Where would you like your next assignment to take you?